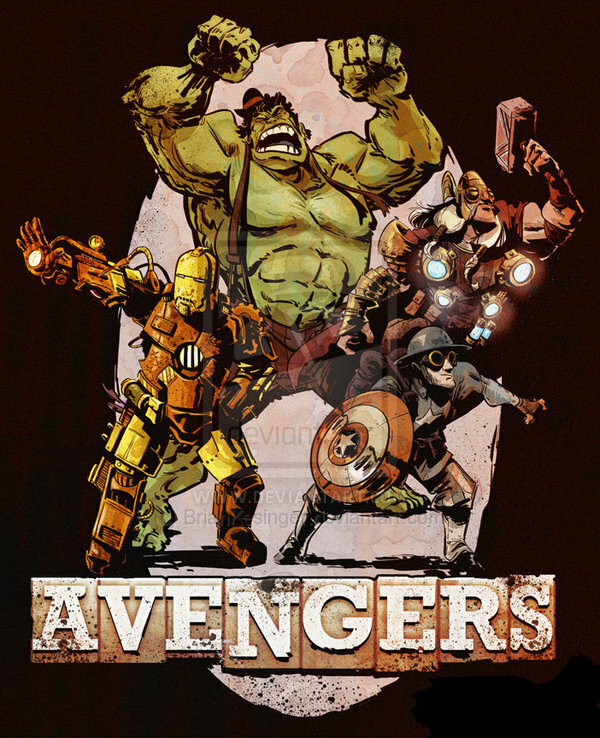 steampunk avengers by BrianKesinger on deviantART. 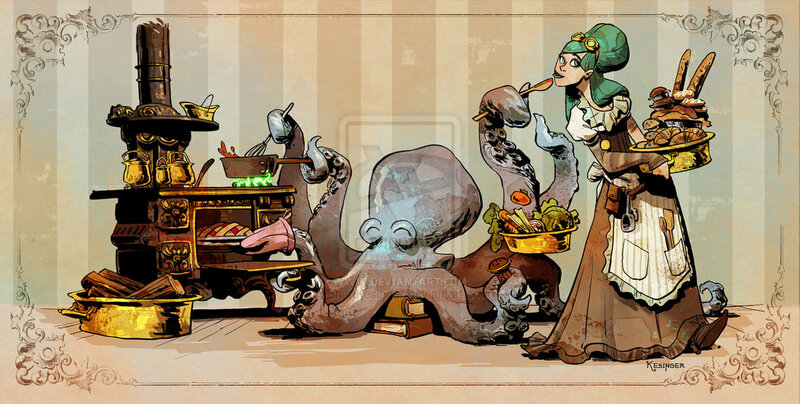 Brian Kesinger is a wonderful illustrator/artist with definite Steampunk tendencies. 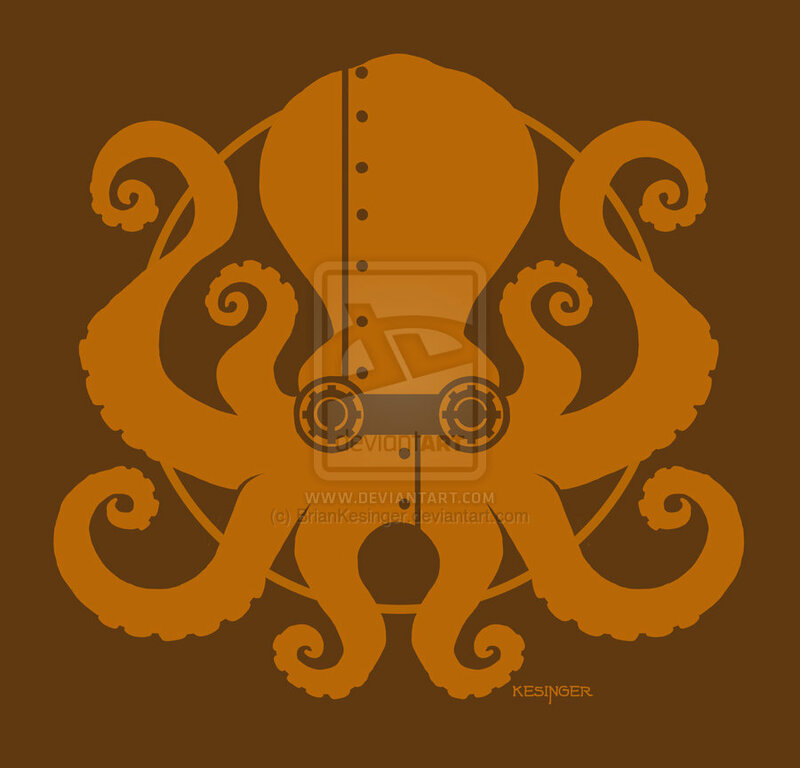 I ended up on his site because of the image above, but was totally charmed by his series of images depicting the friendship between be-bustled lady Victoria and her octopus, Otto. 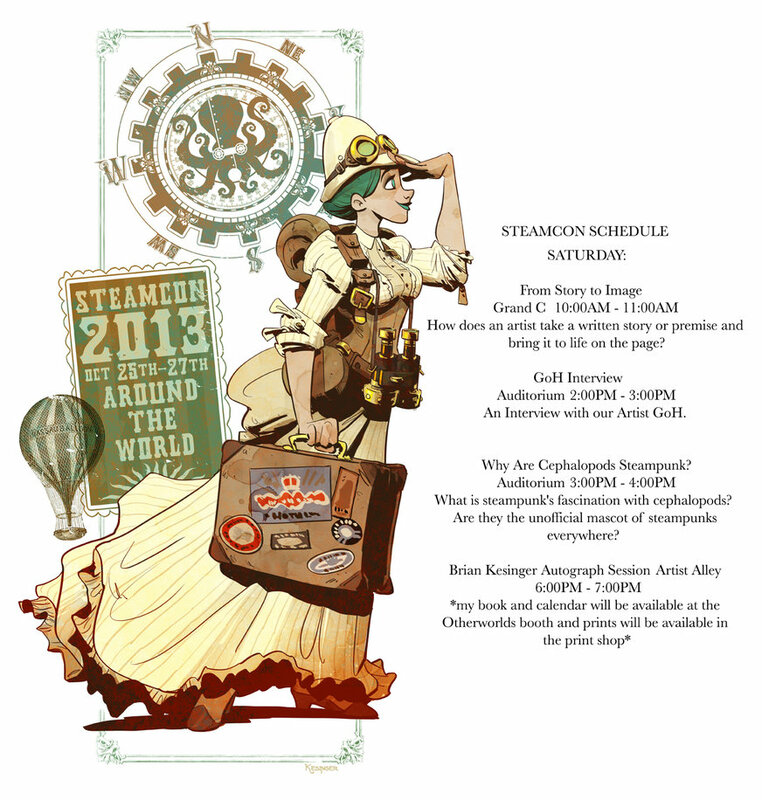 He recently appeared at SteamCon in LA and his artwork was featured on the schedule, pictured among the Otto and Victoria images below. This entry was posted on October 30, 2013 by Phoebe Darqueling. 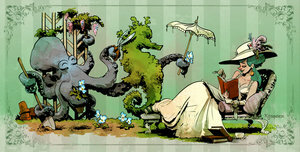 It was filed under Artwork and was tagged with art, BrianKesinger, DeviantArt, Steampunk.